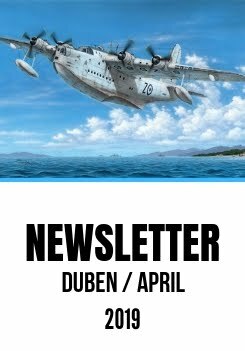 Today, we would like to make here an announcement of yet another Spring 2017 release. Our 1/72 kit of the famous US Navy fighter known as the Buffalo was available in the past, now we have decided to make rather important upgrades and make a new reboxing of this classic model kit. 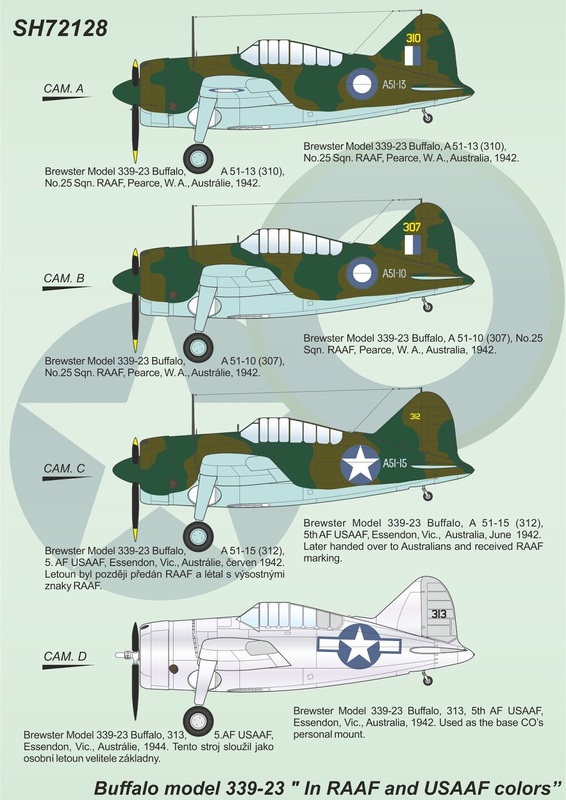 The new release will be available under catalogue number SH72128 and will depict the Model 339-23 version with Australian and US camouflage options from "down under". 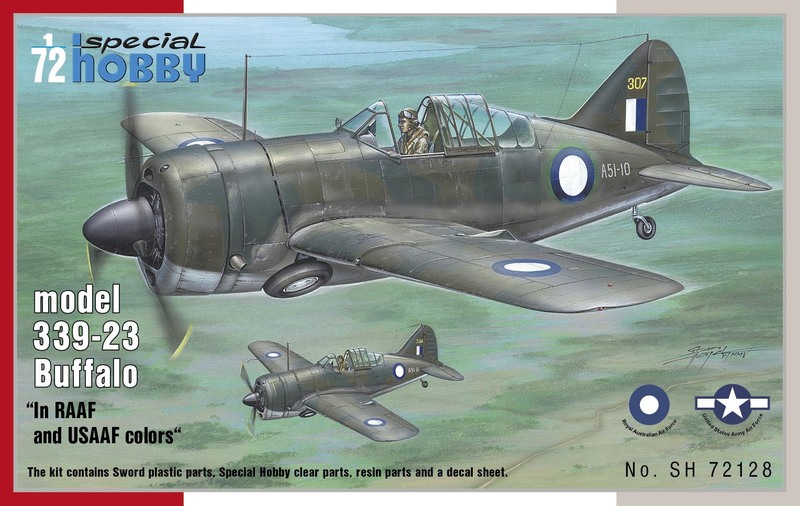 This kit´s plastic parts have their origin in Sword model as well as the parts of our earlier releases which have been sold out for some time now (SH72126, SH72131, SH72133). The new parts which have been prepared for this reboxing are the all-new clear parts as the original ones don´t stand to today´s standards. We also plan to redesign the kit´s resin parts to a higher level. The decal sheet of this model will offer the modeller a choice of four antipodean Buffaloes, two of them directly in colours of the RAAF, the other two flying with the USAAF in Australia. Which means that the options are exactly the same as with our 1/48 SH48057 kit.